I always struggle in the morning pulling everything together and usually feel pushed for time in the end. I have found the key is to have a simplified makeup routine and go for a fresh/natural look. 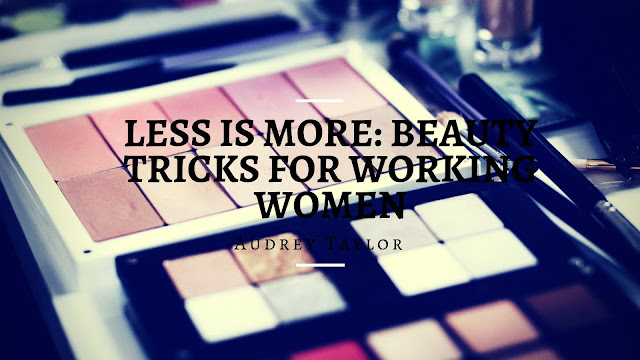 Today Audrey is guest posting on the blog and sharing a few beauty tricks for the working woman! If you’re a busy working lady who has almost no time to get ready in the morning – welcome to the club, we understand your concerns! Here are five useful beauty tricks that’ll teach you that less is more, so check them out and enjoy! No matter how tired you are after a long day at work, you simply have to remove all the makeup and properly wash your face. This step mustn’t be skipped under any circumstances, as a buildup of excess oils, dirt, and makeup is highly likely to wreak havoc on your skin and cause some serious issues. Your pores will get clogged up which may result in inflammation and breakouts that won’t go away that easy, so do whatever it takes to keep your skin clean and healthy. Apart from that, a clean skin doesn’t require as much makeup simply because you won’t have to cover up redness, irritation, and pimples, so start your day with a thorough face wash and end it in the same way. Just remember to keep your favorite cleanser near the sink, as a useful reminder. As busy working women don’t have a lot of time to get ready in the morning, they need a multi-purpose moisturizer which may be their new best friend. Basically, you should look for a cream that has SPF, so that you can save some time by applying just one product instead of two. 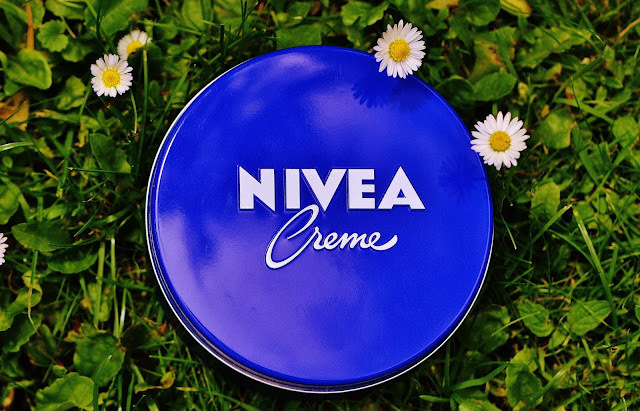 Make sure that your new cream contains antioxidants that minimize the appearance of fine line and wrinkles, so that you can have an actual moisturizer, a sunscreen, and an anti-aging cream all in one product. 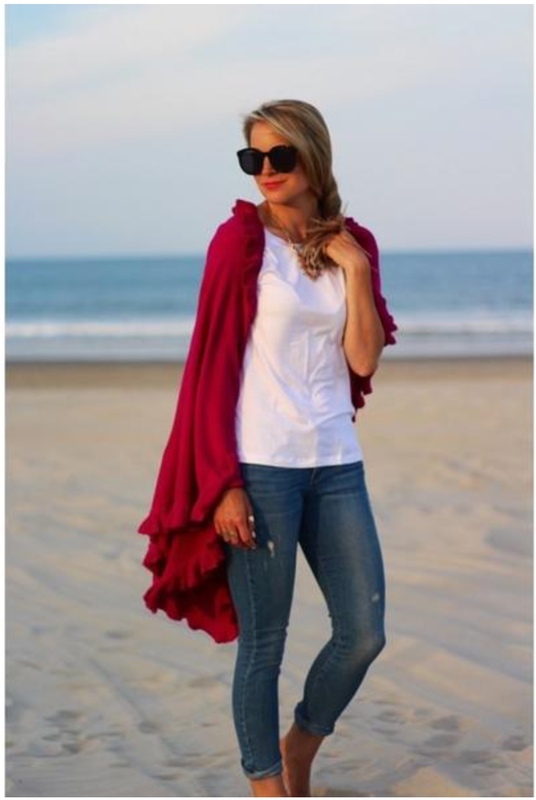 In fact, a lot of Australian ladies use this trick, especially during summer, when layering up too many different skincare products simply isn’t an option due to extremely high temperatures. A moisturizer with SPF really saves the day, so give it a fair shot and you’ll see its amazing benefits. A lot of businesswomen feel obliged to rock a full makeup look on a daily basis, but you know what? The standards have changed over the last few years, which empowered a lot of ladies to use lightweight makeup products that allow their skin to breathe throughout the day. A large number of full-coverage foundations simply feel too heavy on the skin and are likely to clog your pores when combined with sweat and dirt, so be sure to give your foundation a rest and go for a more natural look. Applying your concealer in the shape of a triangle is a fantastic way to lighten up your face and make it appear rejuvenated and refreshed, which is more than enough for your everyday business look. However, if walking around completely bare-faced isn’t really your thing, you can always switch from a foundation to a tinted moisturizer or a BB/CC cream which hydrates the skin while providing enough coverage at the same time. That’s what we call multitasking! If you’re willing to give a natural makeup look a try, you should definitely let the focus be on your eyes. Once your base is finished (the previously mentioned step), the next step is grooming your eyebrows. The fact is that your brows provide a unique frame for your face, so be sure to groom and shape them properly. If you think you can’t do that on your own, you can always visit your favorite beauty salon and get it done there. When your brows are all done, you should opt for eyelash extensions as well, simply because they will save you a lot of time on a day-to-day basis while helping your eyes look beyond stunning – without even having to use a mascara! 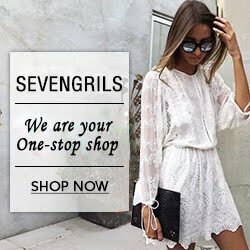 If you want to give this treatment a try, you can consult experts from Beautifeyes, they have loads of experience in this area. Trust us, a set of brand new lashes will give your face a completely new dimension, so don’t wait any longer and give yourself a true makeover that’s completely worth all the money! Yes, we know that you usually don’t have time to wait for your hair to air-dry a little bit before you blow-dry, but you know what? No matter how little time you’ve got on your hands, you should never blow-dry your hair immediately after a shower – especially if we’re talking about the high heat! We understand that this is a time saver, but it can actually cause irreversible damage to your hair, which is the last thing you want, right? 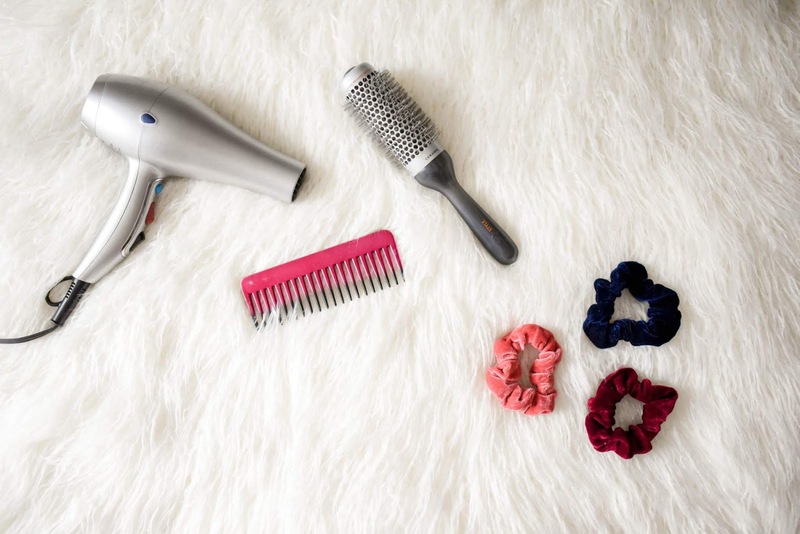 So, you should either blow-dry it on low heat, which will take more time but significantly reduce damage, or wrap it up in a towel, have a breakfast until it’s about 80% dry, and then use the blow-dryer as usual. As simple as that! Each of these five tips is meant to help you save some time while providing the best possible result, so make sure not to forget any of these. Just stick to our guidelines and you’ll understand that less really is more – at least when it comes to busy ladies like yourself!